If you want to achieve a TIME COHERENT signal or speaker cable, the conductors within the angle need to be tilted according to a very specific angle, creating in essence a ZIG-ZAG path, relative to the main general direction of the cable. The angle, by which the longer path needs to be tilted, is exactly the arcus cosine of the reciprocal of the square root of the relative dielectric constant of the insulator. Maxwell’s equations support a wave equation that governs the propagation of both the electric and magnetic fields in space and time. This renown article, published on stereophile, examines propagation in cables — especially within conductive material — from the fundamental principles of electromagnetic theory. It aims to consider mechanisms that form a more rational basis for an objective understanding of claimed sonic anomalies in interconnects, especially as the rumors about single-strand, thin wires persist. I read this text about the Maxwell Theory in the context of interconnect and speaker cables at least a multitude of times. After that, I made my carbon interconnect cables, the “non-metallic” interconnects, as I call them. I also made my V-Cable braided speaker cables. After creating those cables – I was dumbfounded by their performance. Actually, to such an extent, that I read this article yet some more times, trying to dig into the maths and understand what is going on here. From the equations as presented in the text, those regarding the group velocity of the electromagnetic waves passing through various materials, it seems that there are different wave speeds attributable to different types of materials. For “free space,” the relative permeability and permittivity, µr and εr, are both equal to 1; v is equal to c, the velocity of light. 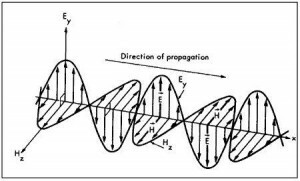 This is the “fast wave” and justifies the common comment that, for audio interconnects, the velocity of propagation within the dielectric is so high that signals respond virtually instantaneously across the length of the cable. However, we must be more cautious when discussing EMC-related problems and digital interconnects communicating high-speed data where this velocity becomes a significant factor. From the lecture of the text, it may be assumed that the relative magnetic permeability of the surrounding materials may be assumed to be equal “1″, with very good approximation. The insulating materials that are normally being used within audio cables to not have any significant magnetic properties (PE, PTFE, PA, PVC, …). V = C = Speed_Of_Light ~= 300 * 10^(6) m/s. V = C / sqrt( E_r * Mu_r) m/s. Obviously, any insulating material other than air, i.e. 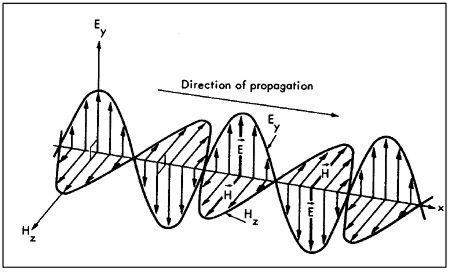 any material with a relative dielectric constant which is greater than “1″ – shall result in a lower speed of propagation of the EM wave in the audio cable. Specifically, such a wave will be spreading “ahead” along the general direction of the cable, albeit with a lower speed. Let us calculate an example, just to see the maths. 1 / sqrt( 2,5) = 0,609. But wait a minute – why are we talking about an angle here? Very simple. Since the speed of the “slow wave”, the one travelling “STRAIGHT AHEAD along the dielectics within the cable, is lower than C. Therefore, there must exist a certain angle, at which, if we route current along the conductor, via such an angled path, then the extra “distance” or the path-overhead shall compensate for the higher speed, at which the EM wave travels along the conductor (essentially “slowing it down”). a). a slow wave, travelling “straight ahead” – along the dielectric of the conductor insulating material. b). a fast wave, travelling along an ANGULAR ZIG-ZAG, along the metal conductors within the cable, which are arranged in a ZIG-ZAG fashion, tilted from the main direction of the general direction of the cable (and the direction of propagation of the “slow wave”). So, we have a simple excersize in geometry: Two vectors: a “slow wave”, travelling a small distance, in the direction “straight ahead”, versus a “fast wave”, but this one travelling a longer distance, along triangles going to the left, to the right, to the left, to the right …. .
AT THE SAME TIME !!!! The angle, by which the longer path needs to be tilted, is exactly the arc cosine of the reciprocal of the square root of the relative effective dielectric constant of the insulator. 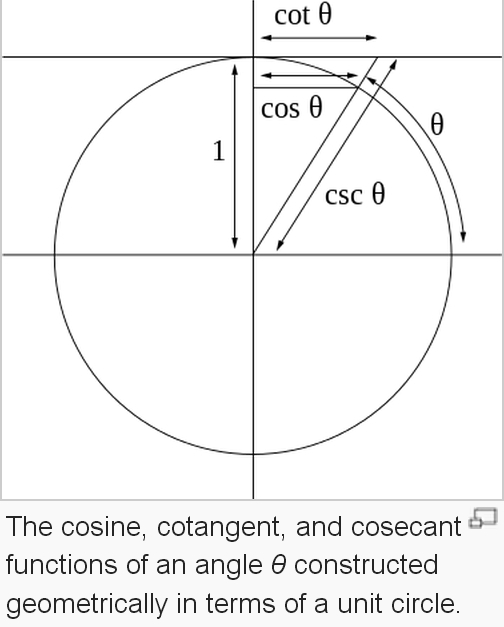 Angle = acos(0,577) = 54 degrees. 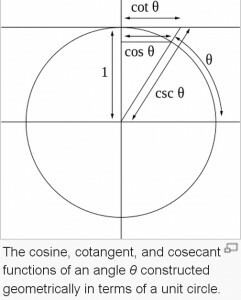 Angle = acos(0,7071) = 45 degrees. The above described may constitute a good explanation for the phenomena that I have observed, mainly that the ZIG-ZAG braided V_Cables, the speaker cables that I made some time ago, perform so exceedingly well. They are based on solid core conductors with PCV insulation, so the optimal angle would be the 54 degrees. When I now look at them, it just so happens that the density of the braid comes roughly, by pure coincidence, very close to that value. The braid is a natural means of routing the conductors to the left, … to the right … to the left, …. to the right …. essentially facilitating an “angled” routing of the conductor. Now, as for the carbon interconnect .. Why do these perform well? Here we have a slightly different situation. Carbon is not, strictly speaking, an ideal conductor. Hence, the wave speed in this material is by no means equal to C. It is lower. Therfore, we also have, to a certain extent, a sync-up of the speeds of both of the waves, albeit this time, for partially different reasons. Anyways, my interconnect, as can be seen on the photos within the links below, is also braided, albeit with a much lower braid density.